Lucky Niki Casino is owned and operated by Skill on Net, home to Play OJO and Slots Magic. This unique-looking casino has a Japanese-anime theme and a hostess called Niki who will show you round the casino and explain the promotions to you. The game catalogue is impressive with over 600 slots to choose from, provided by NetEnt, Microgaming, NextGen, and many more. You can choose to deposit with a range of cashier options, including Paypal, Neteller and Skrill. Plus you’ll get up to 25 Free Spins on Skill on Net’s Ninja Master when you make your first deposit. NetEnt – One of the biggest and best suppliers on the planet, with an impressive back catalogue of classics like Starburst, Gonzo’s Quest and Aloha! Cluster Pays alongside new titles like Asgardian Stones and Hotline™. 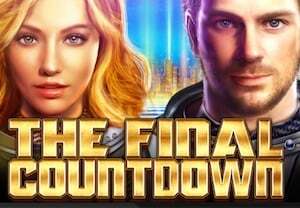 Microgaming – Look out for the stone-cold classics like Immortal Romance and Thunderstruck II as well as the latest games like Fortunium, Deco Diamonds and Diamond Empire. 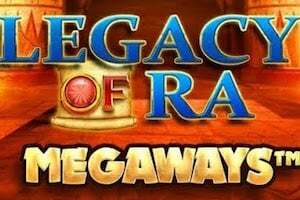 Big Time Gaming – Fast becoming one of the biggest names in slots gaming on the planet thanks to their high variance slot game engine, Megaways™ in which you can win huge, huge prizes … if you’re lucky. Titles like Bonanza, the follow-up Extra Chilli and more recent game, Book of Gods, are all monsters. They frustrate and delight in equal measure, but are well worth a punt if you’re brave enough. NextGen – This is a high-class games studio who are responsible for the Foxin’ Wins series alongside newer titles like King Kong Fury and the mesmerising, Flame. Mixing high and low variance and different themes but always with top quality animation and graphcis, they are worth checking out at Lucky Niki. That’s just a quick run though some of the highlights – there are tons more games to have a spin on. Don’t forget there are also Live Dealer Casino games too, from Evolution Gaming. The new customer offer at Lucky Niki gives you 25 extra spins on the Skill on Net game, Ninja Master. In order to claim the bonus you must deposit £10 or more, and your spins will be worth 20p each. The winnings generated from your free spins are credited as bonus funds and come with a 60x wagering requirement. Ok, so this is perhaps not the biggest, or most generous offer we’ve seen, and the 60x wagering requirement is particularly steep. But there is plenty more to like about this casino, so read on to find out more. One thing you can be sure of at Lucky Niki is that they run some original and fun promotions. In 2018 we saw the Dream Trip to Japan prize draw to celebrate the 1stanniversary of the casino opening its doors. Speaking of tournaments, there are also lots of daily slots races in which you can win extra spins, bonuses and real cash. To take part you must log in and head over to the tournaments tab. Most races are freerolls, though there are also buy-in tournaments with bigger prizes to play for. If you’re a high roller than check out the VIP pages – if you spend big with Lucky Niki then you’ll be rewarded with a multi-tier VIP program with a dedicated manager, lots of exclusive bonuses and invitations to exclusive parties and events. The Lucky Niki casino promise fast and free withdrawals, usually processed in under 24 hours, and for regular customers, in just a few hours. The range of options for players here includes debit and credit card via Visa or Mastercard, as well as eWallet solutions Neteller and Skrill. Remember that at any online casino if you wish to make regular withdrawals then you will need to verify your ID and account information. Usually you can ask to take out up to £2,000 before this happens, but any casino can ask for you ID at any time, so we recommend that you pre-empt this and get your details over to the support team early to avoid delays later. The support team are on hand 24/7 though there is no Live Chat function on the site. You can speak on the phone by calling 0203 150 2541, or email support@luckyniki.co.uk. There is also an extensive FAQs section on the site which helps answer generic questions around the games and cashier. Lucky Niki is part of the Skill on Net group of casinos, licensed by the UK Gambling Commission and the Malta Gaming Authority. These are two of the most trusted and highly-regarded jurisdictions in the world, giving you peace of mind that the games are fair and the site is safe and secure.